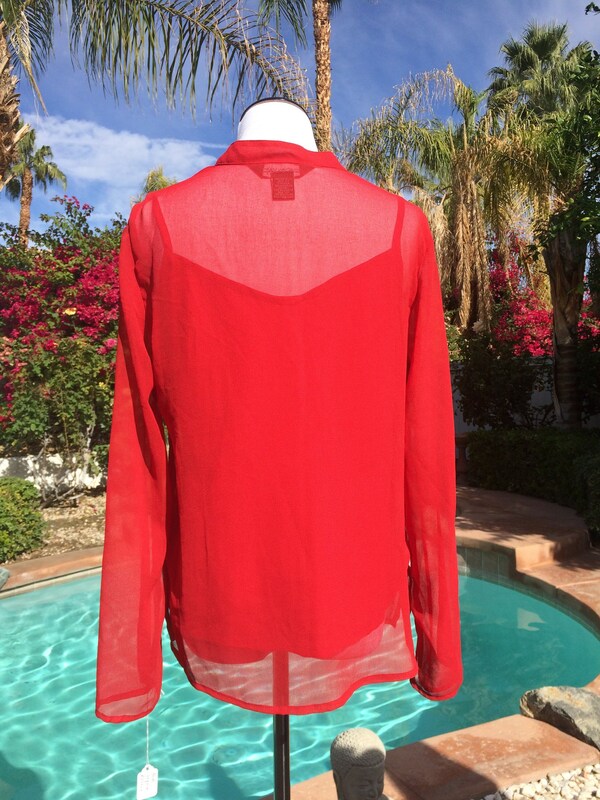 Red Sheer Blouse with Built in Camisole with a Sprinkling of Sequins,Size Medium. 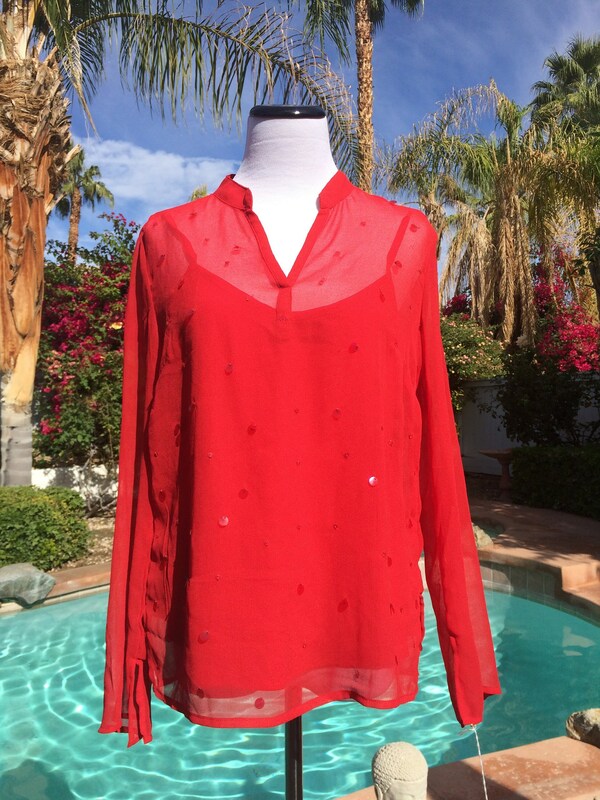 This is a cute polyester red blouse with a built in camisole and sequins lightly sprinkled on the front.This 80's vintage shirt also features flare sleeves. 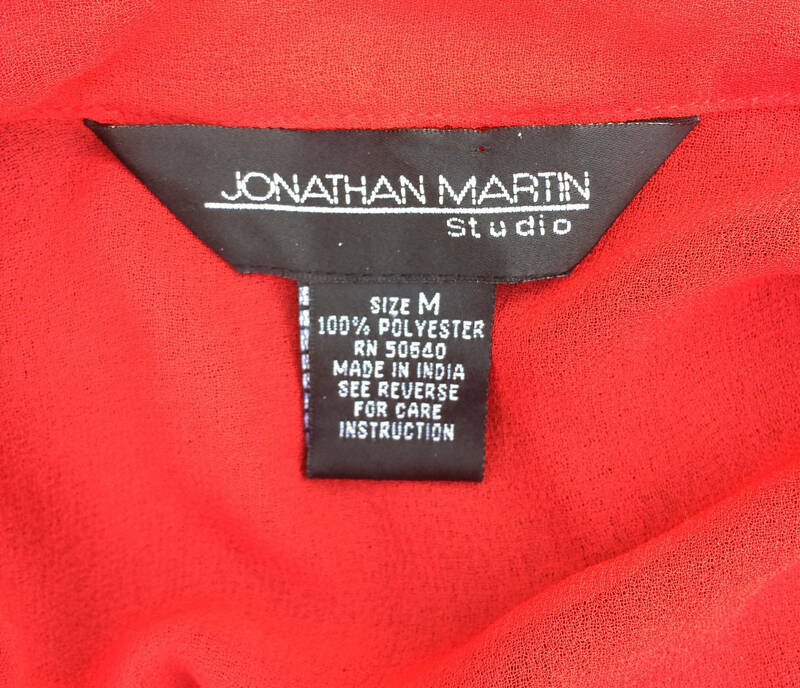 The label reads Jonathan Martin Studio.Size Medium. It is in cert good condition/excellent vintage condition.